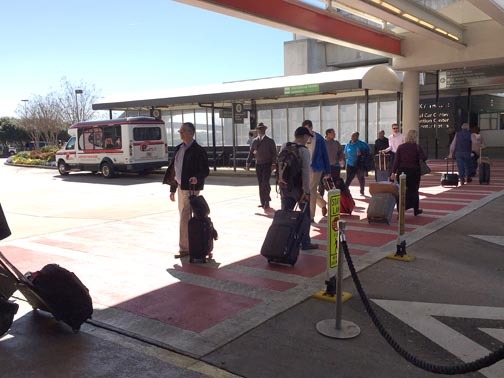 Whether you’re heading out of town or here for a visit, MARTA takes the hassle out of going to the airport. MARTA’s Airport Station is inside the Domestic Terminal. Travel directly to the Domestic Terminal, between the North and South baggage claims. Take the Red and Gold lines. They travel directly to and from the Airport Station. NOTE: if you’re traveling from the airport to Buckhead, Medical Center, Dunwoody, Sandy Springs or North Springs stations after 8:30 pm, you may need to transfer to the Red Line at Lindbergh Center station. Take the Gold (Doraville) train from the airport and transfer to a Red (North Springs) train at Lindbergh Center station. Park at MARTA and spend less. Many MARTA stations offer secure, long-term parking for a lower fee than airport lots. Find long-term parking near you. Use our RideStore at the station. The Airport Station has a full-service RideStore and trained personnel to assist you. Plan ahead (or on the go). 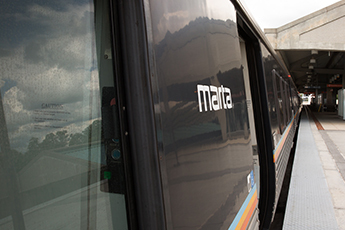 Use our trip planner or MARTA On the Go app to get directions and view real-time train schedules. Keep an eye on MARTA’s schedule. Be mindful of hours of operation and holiday hours. Since the Airport Station is located inside the Domestic Terminal. How do I get from the Domestic Terminal to the International Terminal? Depending on your airline, there are two options. 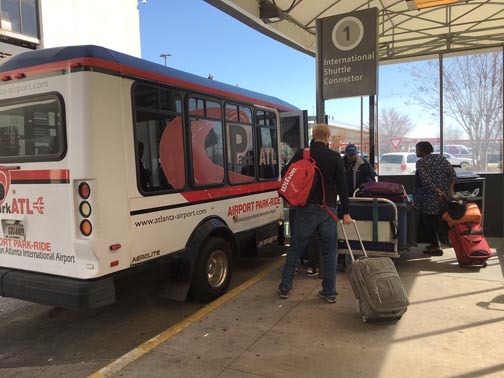 If your airline does not allow you to check in for your international flight from the domestic terminal, there is a free shuttle service outside Baggage Claim. 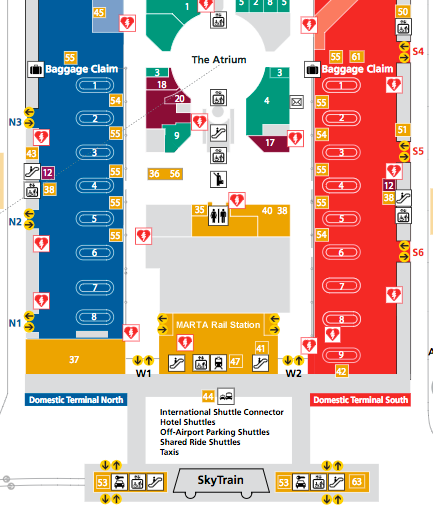 If your airline does allow you to check in for your international flight from the domestic terminal, ride the Airport’s “Plane Train” to the International Terminal at Concourse F.
How do I get to MARTA from the International Terminal? There is a free shuttle at the arrivals level of the International Terminal that goes to the Domestic Terminal’s baggage claim. The Airport Station is inside the Domestic Terminal between the North and South baggage claims. You may also ride the airport’s “Plane Train” to the Domestic Terminal Baggage Claim stop. Shuttles are located outside Baggage Claim of the Domestic Terminal. 15 minutes travel time between terminals.